Ryder System, Inc. (NYSE: R), a leader in commercial fleet management, dedicated transportation, and supply chain solutions, announced today the successful transformation of Ryder smart warehouses in the Miami, Dallas, and Chicago markets. These transformed warehouses – or showcase sites – deliver advanced automation, flexible and instantly scalable operations, real-time visibility, and a customer-centric experience. The warehouses, established for three leading global consumer brands, bring together innovative startup technologies and smart capabilities customized to optimize operations and best serve customer needs. 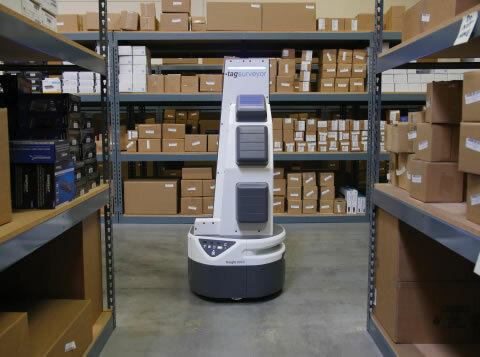 As an industry-leader in sourcing and implementing new technologies, Ryder has partnered with several innovative start-ups like Fetch Robotics to provide the technologies that bring what was once considered the warehouse-of-the-future to life. Ryder Supply Chain Solutions optimizes logistics networks to make them more responsive and able to be leveraged as a competitive advantage. Globally-recognized brands in the automotive, consumer goods, food and beverage, healthcare, industrial, oil and gas, technology, and retail industries rely on Ryder’s leading technologies and world-class operations to help them deliver the goods that consumers use every day. Operating 319 facilities with 50 million square feet of warehouse space, Ryder offers flexible solutions as well as end-to-end visibility – no matter how challenging or diverse the storage and distribution needs may be. Ryder currently provides comprehensive logistics and supply chain management solutions to companies with operations in the U.S., Canada, and Mexico, and also contracts with more than 3,100 carriers in all modes of transportation in the markets it serves. Ryder Last Mile provides a home delivery and white-glove installation solution for big-and-bulky goods, with 136 facilities covering 95 percent of the U.S. and Canada within a two-day timeframe. The Company, founded in 1933, operates behind the scenes, managing critical transportation and logistics functions for more than 50,000 customers, representing many of the world’s best-known brands. Ryder employs 36,100 people and manages a fleet of 253,800 commercial vehicles.